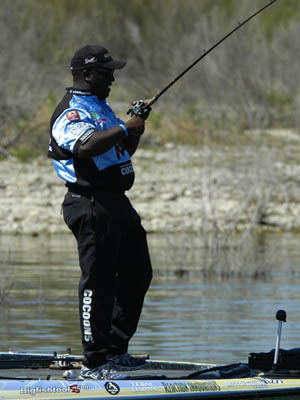 Introduction: Ish Monroe grew up in San Francisco, California spending a portion of his youth working in an actual tackle store. Is it any wonder then, that this BASS Elite Series Professional Angler is also a tackle addict at heart? TackleTour caught up with Ish between the two recent International Sportsman Exposition events in San Mateo and Sacramento, California, and he agreed to sit down and discuss with us some things old, some things new, and some things on the horizon. 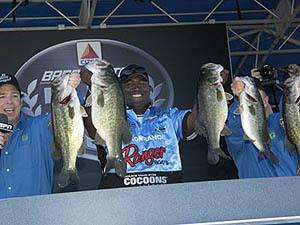 Cal: Hi Ish, first, let me thank you for taking the time from your incredibly busy schedule to sit down and talk with us and congratulations to you on your success this past fall at the 2006 BASS Elite Shootout on Lake Amistad! I can't imagine how satisfying it must have been for you to stick to your game plan and have it work out so well. Now I know most journalists that come to you probably want to talk fishing and learn the ins and outs of your approach when you it the water, but let's change gears a little here. Our readers' primary focus is on product and learning about the latest and greatest the tackle industry has to offer. The perception, amongst the majority of our readers, is that some of the latest and greatest is reserved for the market over in Japan. I know you were there recently. What new and exciting products did you see during your visit to Japan? I.Monroe: Actually, what I was doing in Japan wasn't so much looking for what was new and exciting, but I was actually looking for some of the older, original baits like the Daiwa Titan Jerkbaits and some of the original Lucky Craft crankbaits. I was looking for some of those original baits because a lot of the times, the first generation baits are the best and since not many people on the tournament trail have them anymore, it's just a little different look to give to the fish. 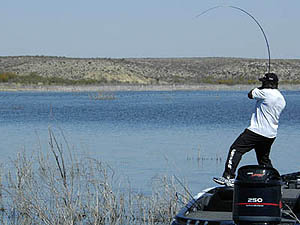 Cal: Speaking of older tackle, what do you remember, as your very first fishing combo? I.Monroe: Boy... I think I was about 11 or 12 and I think it was a Shimano Bantam Rod - the one with the big ole handle in the back, and some Daiwa reel. The one before the PT33. Daiwa Magforce? Yeah, that was it! Cal: I remember those rods and that reel. Do you recall your first experience fishing that rig? I.Monroe: Yeah... backlashes. I had a lot of backlashes and had to learn how to use it! 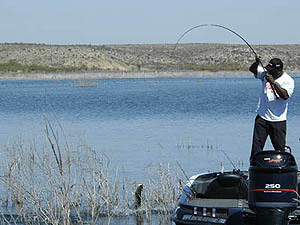 Cal: Do you use right or left handed reels. Cal: With the introduction of the Steez product line, and to a lesser extent, the Zillion reels at last year's ICAST, it seems Daiwa is really leading the charge in bringing over a lot of their high-end product line that was formerly reserved for Japan, into the United States. How much input did you have in what you thought they should and should not bring to the US Market or was the product line already a foregone conclusion? I.Monroe: I had no input with what Daiwa was debuting at ICAST last year, but since the introduction of the Steez rods, I've had a lot of input for future models because they saw how interested I was in these rods. So we're looking at expanding the line a little bit and bringing over more of what they sell in Japan. Cal: Tell us more about the expanding Steez lineup and when will they be available? I.Monroe: There's going to be an 8' flipping stick built from the Compile-X blank material. It's going to be a two piece rod with the separation at the handle like you find in a lot of longer Japanese rods. I like it a lot. I think the way they do this two piece construction makes it a more sensitive stick than a telescopic rod and it makes it more durable because you don't have the two sections sliding around when not in use. should be available very soon. Cal: With no previous knowledge of what Daiwa had in store for us, we published our review of the Japanese Domestic Market (JDM) version of the Steez baitcaster a week before last year's ICAST. In fact, it won our "Ultimate Enthusiast" award for having features formally found only in Daiwa's limited edition reels. I, personally, was thrilled to see these products land stateside. But tell us, as a seasoned tournament pro and someone who fishes almost everyday, what was going through your mind that very first time you picked up the Steez Baitcasting reel? I.Monroe: Oh man, I thought it was the greatest thing since sliced bread. I'm familiar with a lot of the other manufacturer's product and I even played with the new Shimano low profile digital reel before it came out, but when they put that Steez reel in my hand I could not believe how light it was. Then with the smoothness of the spool and the new drag material, it was the most awesome reel I ever felt! Cal: What were your thoughts when you cast it for the first time? I.Monroe: After I cast it and used it for a day, I basically came back to the hotel room and told my girlfriend I'm kicking her out of the bed and am sleeping with this new rod and reel. Really, that's a true story!